Discover a few of Kingston’s best attractions all within walking distance of downtown. Which day of the week do hamburgers like the least? Fry-day. 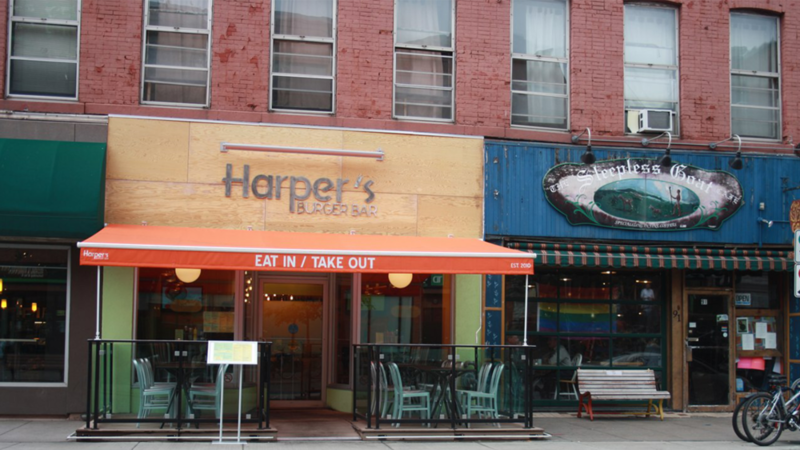 Harper’s is Kingston’s local burger joint. With 100% fresh family farmed beef and hand cut fries, there is a reason this is a favourite for local Kingston residence. The staff is super friendly, polite and attentive. The location is clean, central and has a great atmosphere. If you want a really good burger, at a great price then try Harper's. Located on Princess street it is only a few minutes away from your home. This location also has some of the best Vegetarian burgers in kingston. If your looking for a casual breakfast joint then there is no better place in Kingston. A very clean restaurant with friendly, accommodating staff. The breakfast is cheap, quick, reliable and delicious. The atmosphere is great and located on Springer Market Square it is very central! Morrisons is great for any occasions. Whether you are dining with your family or hungover and need a quick breakfast. On weekend morning it is always one of the busiest spots in Kingston. If you are looking for an enjoyable afternoon activity, the 1000 island cruise is the exact thing for you. Discover local sights along Kingston’s historic waterfront on a 90-minute Discovery Cruise. The focus of this cruise is the history on the waterfront on Kingston. Not only is this cruise educational, but you can also enjoy an amazing meal while you learn about our great city. Leon’s Centre is a modern event facility that can hold up to 6,700 along with conferences, trade shows and gala dinners for up to 1000 on the arena floor. 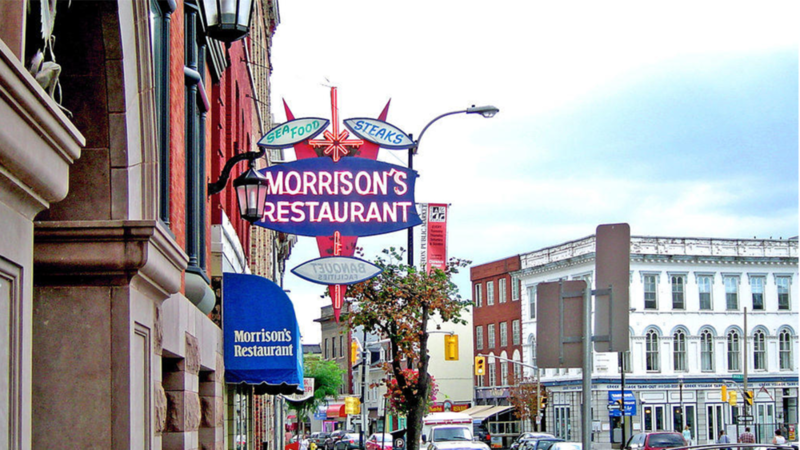 Located in the heart of downtown, it is Kingston’s largest entertainment venue. It is home to the Kingston Frontenac’s, countless concerts and many talented perfumers this venue is an absolute must stop in Kingston.Home of the Frontenacs and many great restaurants. My personal favourite is the buffet special. There is no need to worry about parking either because it is a very short walk from your condo. Kingston is home to many beautiful restaurants, but Milestones stands alone above the competitions. Nestled inside the old S&R building this location is not only central but simply stunning. Coupled with live music, great food and outstanding service this restaurant is one of the nicest in Kingston. The food and service there are top notch. If you are looking to take that special someone on a date, i would recommend Wednesday night. They have a great deal where you get a appetizer, two entrees and a desert for 50 dollars. So this weekend make sure to get out and enjoy the nice weather. While your at it maybe stop into one of these Kingston Classics for some great food and entertainment.